Welcome to the 2018-2019 4-H Year! New to 4-H? Love a 4-H Project but Duval 4-H does not have a club that fits your needs? 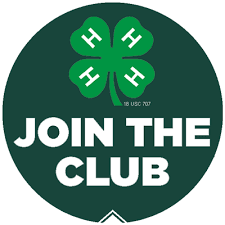 The 4-H club you would like to join is full? Then the Duval 4-H At Large Club is for YOU! What is the At Large 4-H Club? The At Large 4-H Club is a transition club for prospective or new 4-H members who have not yet found a club to join, or are waiting to join a club that is full. The At Large 4-H Club holds meetings and explores different 4-H projects. Youth learn what 4-H is about, how a 4-H meeting is run, what the roles and responsibilities of the club officers are, and about different projects that are available through the 4-H program. Youth will also meet other 4-Hers who are looking for a club to join and have a lot of fun! 4-H is open to all youth, ages 5-18, determined as of September 1 of the current 4-H program year and open to all counties in the State of Florida. 4-H serves youth from all backgrounds and interests. It reaches both boys and girls through 4-H clubs, special – interest groups and short – term projects, school-age child care, individual and family learning and mentoring, camping and school enrichment. Extension Agent I, 4-H Youth Development Duval County UF / IFAS Specializations: STEM, Teen Leadership, Residential and Day Camping, Citizenship, Small Animals.